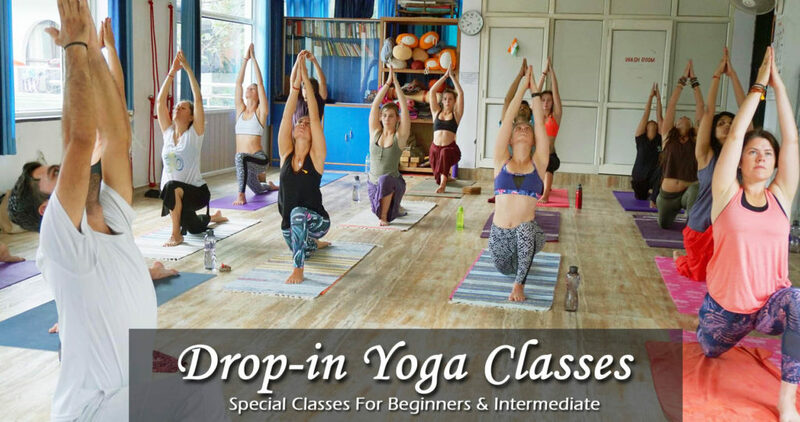 The drop in yoga classes in Rishikesh are yoga classes made for students who are interested who are interested in going for a short term yoga practice. 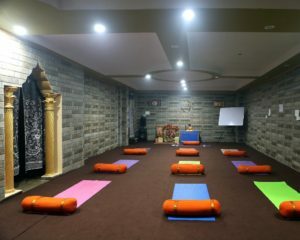 All the yoga enthusiasts who want to learn yoga in a short while should enrol for the drop in yoga classes in Rishikesh. This course is the lightest version of yoga training. What’s more is the fact, that these classes are designed to holistic way to bring about a balance in the mind, body and soul of all the candidates. In other words, the course will bring about the best in the entire state of being all the students. Each session of this course will begin with mantra chanting to call forth the blessings of the source or the almighty. In essence to fill the students with positivity. 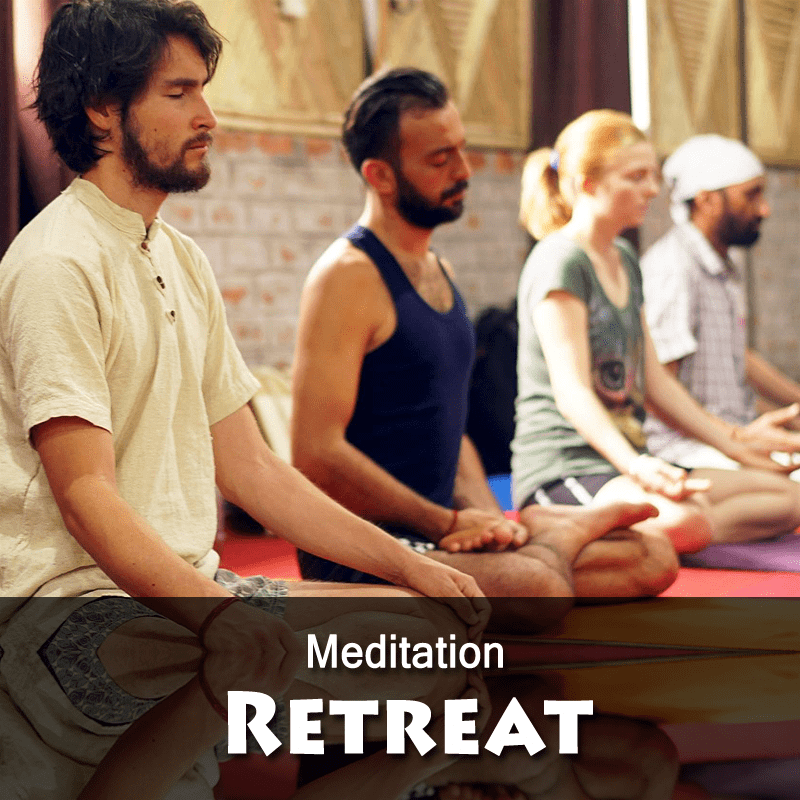 This also helps in setting a divine tune for the entire duration of the yoga class. The chanting of mantras are a way of increasing the concentration and reflecting on the inner self. As a matter of fact, this results in bringing about mental peace. There are experienced and qualified teachers who are present to serve all the students in the best way possible. In addition to teaching, they help in maintaining the right body posture with proper alignment and also controlled breathing patterns. These teachers will assist throughout the course. The main focus of drop in yoga classes in Rishikesh is to learn the asanas of Hatha yoga and the Ashtanga yoga. With a detailed insight and complete demonstration on all asanas, the yoga teachers have attained a mastery in creating a perfect environment that helps the students to get rid of stress. There is no registration process that needs to be followed for these classes. You can join as and when you come to the centre. A special designed workshop series & drop in classes focusing on Ashtanga Vinyasa, Hatha Yoga, Yoga Anatomy, Physiology and Philosophy. Silence should be maintained while you are in Yoga Session. Rishikesh Yoga Club reserves the right to disqualify any students at anytime during the course if found something wrong. Food & Drinks (other than water) is NOT ALLOWED while you are in the yoga halls. Use of electronic gadgets (i.e: Smartphones, Tablet Or Laptops) during session is completely PROHIBITED. During yoga class please leave your personal books, extra clothing, books and your luggage outside hall / locker. Only yoga mats and water bottles permitted inside yoga hall which will be provided by management. Center is Situated at walking distance from Lakshman Jhula, So it will be easier to reach center by calling our helpline numbers.